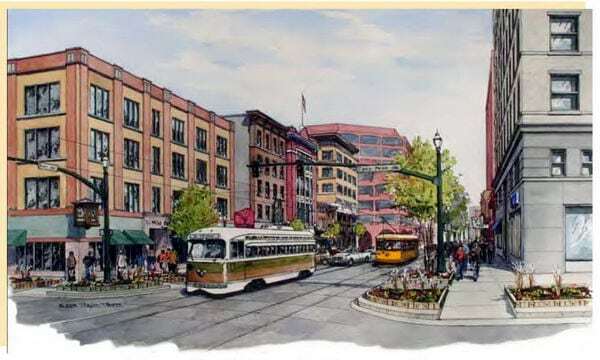 In late 2009, the City of Colorado Springs began a formal Streetcar Feasibility Study. Completed in June 2010, The study was conducted by Mountain Metropolitan Transit to examine the potential feasibility and costs of developing a streetcar system in the central business district of Colorado Springs and surrounding areas. It recommended possible initial alignments and operating and implementation plans, but focused on determining if such a system is economically fundable by the local community. The study explored the relationship between streetcars and urban development in Colorado Springs by examining the feasibility of implementing a streetcar system for downtown Colorado Springs and surrounding areas along with the associated economic impact. History: The non-profit Pike’s Peak Historical Street Railway Foundation was founded in 1982 and originally envisioned operation of a restored Colorado Springs trolley in a local park. The group broadened its focus in the 1990s to encompass operation of a vintage trolley system in the Colorado Springs area. In 1994, a restoration facility was located and leased. In 1995, the foundation acquired nine surplus PCC cars from Philadelphia, and has also acquired PCCs from Los Angeles and Toronto. The group also owns several local street railway and interurban car bodies which are being restored at their restoration facility. The group has also received donation of several miles of track from a local army facility. In addition to assembling a group of rolling stock and leasing a restoration shop, the foundation completed an initial route feasibility study, obtained an operating franchise from the City of Colorado Springs, and worked out most of the details of its proposed operating system with City officials and neighborhood and retail associations. Equipment: The nine Philadelphia PCCs were all acquired as broad-gauge cars, as was the group’s Toronto PCC. Their Los Angeles PCC car is 3’6″ narrow gauge. The plan is to reequip all of the cars with standard gauge trucks from retired Boston PCC cars. The Toronto car has been designated as a parts source. 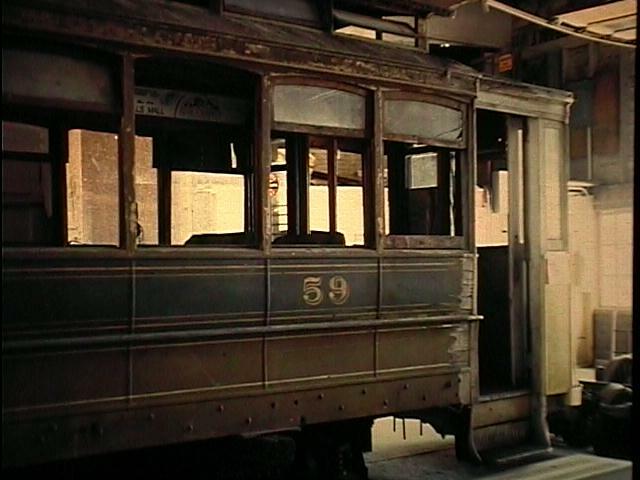 In addition to the PCCs, the group also owns several local carbodies, being restored for potential special operations on the new trolley line. These include two Colorado Springs wooden cars and a single-truck “Birney” type car originally from Ft. Collins.